Bring a Lil’ Bit of Camp Home With You! Did your camper enjoy the culinary program at our summer camp this season? Every summer, we strive to help sleep-away campers develop new skills, confidence, and make some incredible memories at the same time! This summer, our campers had the best time cooking, laughing, and learning lots of new things at our culinary arts program! We hope you and your child have fun making some of these recipes together at home, now that summer camp has come to a close! Hope to see you next summer! 1. Add all ingredients into blender or food processor one at a time, blending well after each. 2. Adjust flavoring with salt and pepper as needed. 3. Cut and peel carrots into 3 inch pieces. 4. Cut celery into 3 inch pieces. 5. Cut cucumbers in half and then slice into ¼” pieces. Crack egg in mix with fork. Flour workspace and roll out each pie crust to 11” each. Using pizza cutter, square off edges so that you have 2-9” pie crusts. Cut each square into 3-3” strips for a total of 6 strips. Place spoonful of jam on half of each strip, living room on edge to crimp pastry together. Brush egg on pastry around jam and fold dry end over jam end. Use a fork to crimp the edges together on all sides. Repeat with remaining pastry strips. Place pop tarts on parchment lined pastry sheets and bake 15-18 minutes or until GBD. Let cool. While pop tarts are cooling, whisk together powdered sugar, 1T jam and 1-2T cream to create frosting/glaze. 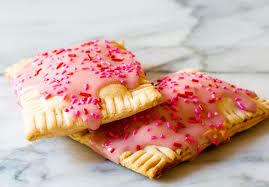 Spoon frosting onto tops of each pop tart and top with sprinkles. · Set pot of water on to boil. · In mixing bowl, mix all cheeses and 1 egg. Season with salt and pepper. · In small ramekin, beat together 1 egg and set aside. · Lay one wonton wrapper on your work surface. · Place ½ to 1 teaspoon filling in center of wrapper. · Brush all four edges of wonton wrapper with egg wash.
· Place second wonton wrapper on top, working from the center out to the edges to push out all air and seal the edges LAST. 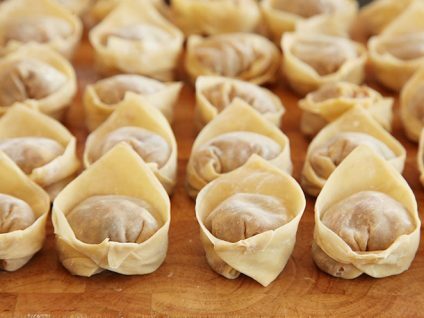 · Set aside and repeat with remaining wonton wrappers. · Once assembled, place ravioli four at a time in boiling water. Cook for three minutes then remove with slotted spoon. · Serve with your choice of sauce. 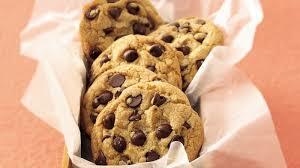 · For the crust: In food processor, combine confectioner’s sugar, flour and butter. Process until mixture forms a ball. · Press dough into tart pan, taking care to push the dough into the indentation on sides of pan. Make sure dough is even throughout. · For the filling and topping: Beat cream cheese, sugar and vanilla until smooth. Spread over cooled crust. 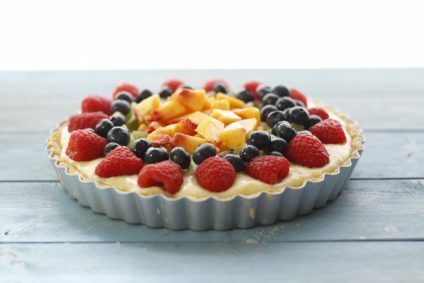 · Cut strawberries and kiwis into ¼ inch slices and arrange in a circular pattern. · Fill in empty spaces with blueberries. · Cluster raspberries in center of the tart. · For the glaze: Combine limeade, cornstarch, lime juice and sugar in a small saucepan and cook over medium heat until clear and thick, about 2 minutes. Let cool. Brush on entire tart. · Preheat oil to 350. · In a medium sized mixing bowl, whisk together dry ingredients. Then add the egg and milk. Stir until batter is smooth with no lumps and chill in refrigerator for 25 minutes. · Cut the hot dogs into ⅓ pieces and coat in flour to help batter to stick to the dogs. 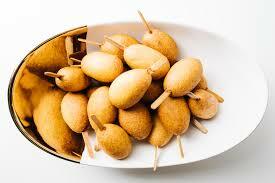 · Dunk flour battered hot dogs into corn dog batter by using a fork. Make sure to fully coat the dogs before frying in the oil. · Fry at 350ºF/180ºC for 3-4 minutes or until golden brown. For even cooking use a slotted steel spoon or a pair of tongs to rotate the floating corn dogs. · Dry off excess oil with paper towels. 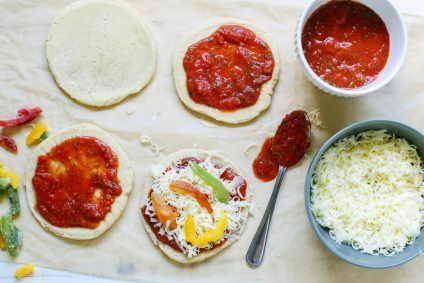 · Roll out pre-made pizza dough and score. · Sprinkle cornmeal on work surface and place pizza dough on cornmeal to coat bottom of crust. · Top with your choice of sauce. · Top with your choice of protein. · Top with your choice of veggies and cheese. · Place on pizza paddle and place in pizza oven to cook. · Rotate periodically until done. 3. Beat butter, granulated sugar, brown sugar and vanilla in large mixer bowl until creamy. 4. Add eggs one at a time, mixing well after each addition. 7. Scoop by rounded tablespoon onto ungreased cookie sheets. 8. Bake 9-11 minutes or until golden brown. 9. Cool on baking sheets for 2 minutes then remove to wire racks to cool completely. 1. Sift the confectioners’ sugar into a medium bowl. 2. Slowly stir in 3 tablespoons of milk and the vanilla extract until the mixture is smooth. If the glaze isn’t thin enough, stir in 1 additional tablespoon of milk. 3. Cover the glaze with plastic wrap and set it aside while you make the doughnut holes. 1. In a small bowl, whisk together the milk and the egg. 2. In a separate medium bowl, whisk together the flour, sugar, baking powder and salt. Stir the milk-egg mixture into the dry ingredients, then stir in the melted butter, mixing until a soft dough forms. 3. 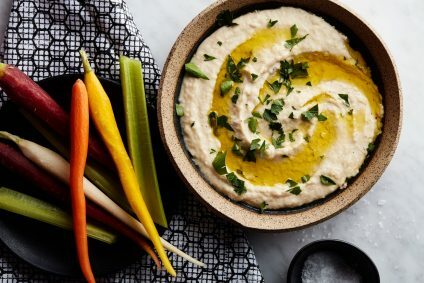 Once the oil has reached 350ºF, use a small ice cream scoop to drop about 1 tablespoon scoops of dough into the oil, careful not to overcrowd the pan. (See Kelly’s Notes.) Fry the doughnut holes, flipping them in the oil, for about 2 minutes or until they’re golden brown. Using a slotted spoon, transfer the doughnut holes to the paper towel-lined baking sheet. 4. Allow the doughnut holes to cool slightly. 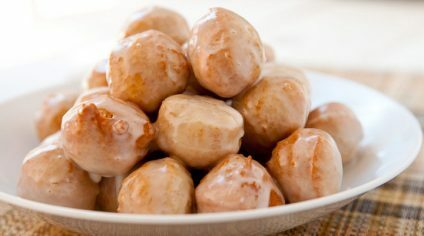 Place a cooling rack atop a baking sheet, then one by one, dip the doughnut holes into the glaze and transfer them to the rack to allow the excess glaze to drip off. Serve immediately. 1. Preheat the oven to 400ºF and line several baking sheets with parchment paper. 2. In a large bowl whisk together flour, cream of tartar, baking soda, and salt. Set aside. 3. 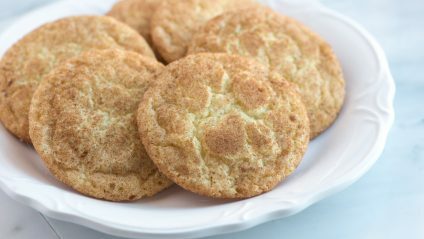 In the bowl of an electric mixer, cream butter and 1 ½ cups sugar together until light and fluffy, about 3–5 minutes. Then beat in eggs and scrape the bowl. Turn mixer on low and slowly add flour mixture until well combined. 4. Mix remaining ¼ cup sugar and cinnamon together in a small bowl. Use a 1 ½ tablespoon cookie scoop to measure out dough balls. Roll each ball in your hands to even them out, then roll in cinnamon sugar to thoroughly coat. 5. Place the balls on prepared baking sheets, 2 ½ inches apart. Bake for 8–9 minutes, until just barley golden around the edges. Cool for several minutes on the baking sheets before moving. 1. 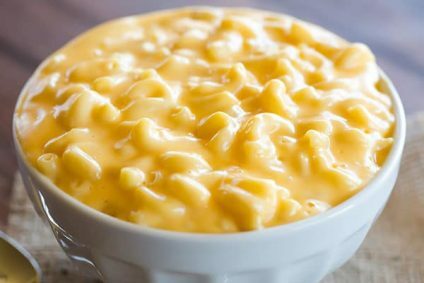 Cook macaroni until al dente. 2. In a saucepan, melt butter over medium heat. Stir in enough flour to make a roux. 3. Add milk to roux slowly, stirring constantly. 4. Stir in cheeses and cook over low heat until cheese is melted and the sauce is a little thick.